“Fastest growing city”, “Best place to live”, “Best destination to visit”, “Best Economy” these are just some of the headlines that come up when you Google “Bozeman, MT” and if you haven’t been here, you might wonder why? Bozeman Montana, the Last Best Place. Bozeman can be found between four mountain ranges, 45 minutes away from Big Sky, 90 minutes from Yellowstone National Park, and on just about everyone’s radar to visit. Once you get off 1-90 and onto Main St, you are taken for a drive through Downtown Bozeman that is most likely full of residents shopping, dining, or sitting outside of breweries. You’ll run into tourists taking in the cultural scene or college kids grabbing breakfast before the home game. Bozeman is known as a destination for individuals seeking a higher quality of life, where people bike or walk to work, and can play (more than you work, for some) outside year round! All four seasons can be experienced here, some may be a little bit shorter or longer than you wish, but you do get to experience them. During the winter residents can be found ice fishing up at Hyalite Reservoir or taking the family to Bogart Pavilion for ice skating. Once the snow has melted and people have been able to thaw out, the streets of Downtown crowd with people hanging out at summer events like Sweet Pea Festival, Art Walks, or Music on Main. 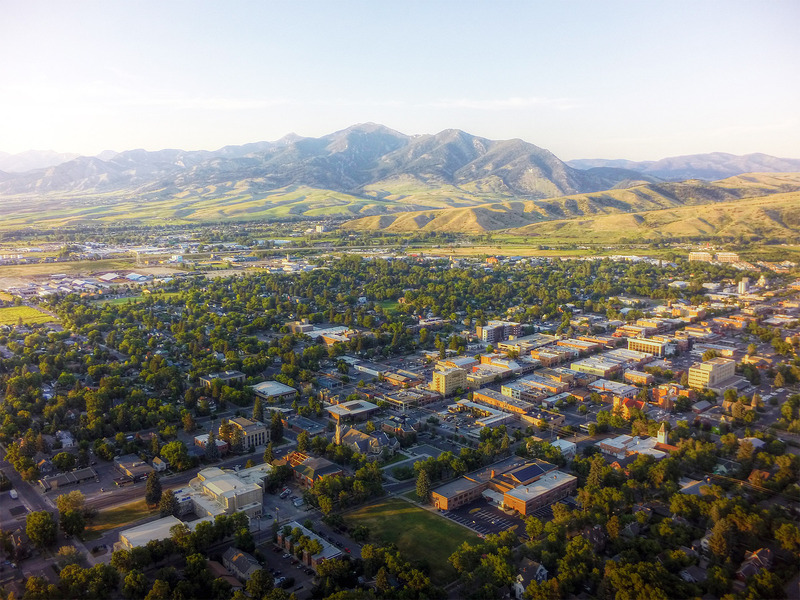 Montana State University is home to roughly 15,000 students, which can be said is what gives Bozeman its youthful vibe. With a thriving economy, the valley attracts and retains talent, traditionally known for agriculture but the tech industry is making a splash. A median household income of $49,303 and a projected job growth of 11.4% in the next several years give promise that this growing, thriving community has no plans of stopping anytime soon. Add in the new subdivisions and commercial properties, new residents can move here in confidence, their only problem? Trying to experience everything Bozeman has to offer within their first year. Once you’ve made the trip to Bozeman and start wondering around the city and sparking a conversation with the locals, it helps you understand why Bozeman has topped the lists for the best place to live…. But the question is… where ARE all of these people living? The amount of new residents is not projected to slow down anytime soon, which gives us a healthy housing market. Use our interactive map to see where some of Bozeman’s subdivisions are located!